40" x 50" Throw For all pets on the go! the eye catching BRINKMANN PET? 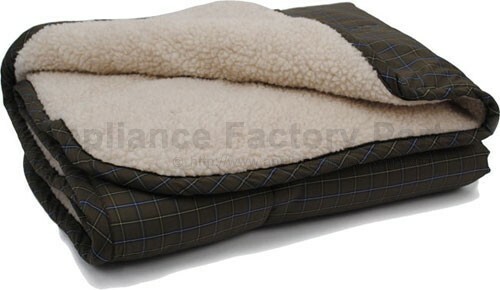 40 inch x 50 inch Throws have a high quality printed fabric bottom with a warm natural Berber top to keep your pets cozy. For superior comfort this throw is lined with batting and quilted to hold it?s shape. Great for use at home, in an automobile or simply as a bed. Color: Green Care Instructions This throw is easy to care for, machine washable and dryer safe. We're adding new 876-TH40-50993.3 parts all the time, contact us for pricing and availability.